How to Use Any DVD Cloner Platinum to Copy and Rip DVD Movie? 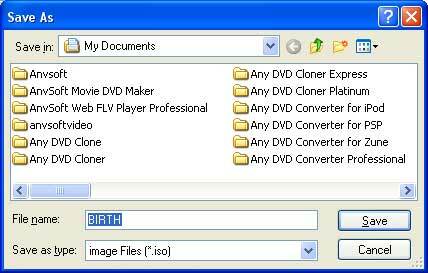 Any DVD Cloner Platinum is a combination of Any DVD Cloner and Any DVD Converter Professional. It has the features of copying protected DVD movies, cloning the full disc and main movie, compressing a DVD9 to fit a DVD5, backing up DVD movie to ISO or DVD fodder saved on hard drive, converting DVD to MP4, M4V, MKV formats that are supported by different PMPs like iPod, iPone, PSP, PS3, Xbox, etc. 1. How to Copy DVD Movie to DVDR (DVD5/DVD9)? 2. How to Backup DVD Movie to ISO Image File? 3. How to Backup DVD Movie to DVD Folder? 4. How to Rip DVD to iPod/iPhone/PSP/PS3/Xbox? 1.3 Choose Target DVD Drive. 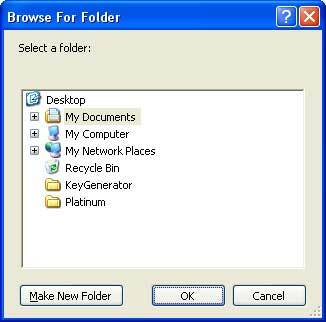 Click button on the upper right of the program, click Options, click Browse to select a folder. Make sure the drive which contains this folder has enough free space. For copying a DVD9, 8GB is required. If the output DVD folder or ISO image is in the same drive as temporary folder, 16GB will be required. Click button on the upper right of the program,click Options,select different options: "Internal" or "Microsoft IMAPI" as "Burn Engine" when you meet problem during the copy or burning process. 1.4 Choose DVD Clone Mode. * Full Disc: Entire movie DVD will be copied to DVD or hard disk (DVD folder & ISO image). * Main Movie: Only the longest title will be copied. * Customize: Select any title or chapter you want to copy. * Burn: Burn DVD to DVD directly in 1:1 ratio. Multiple DVD-ROMs are necessary and the target DVD drive should have burning ability. Below is a screenshot for Customize mode. 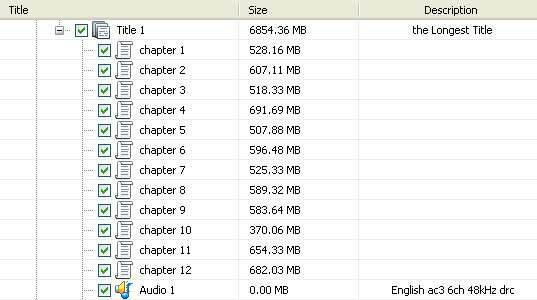 Simply check any titleset, title, chapter, audio or subpicture you need. Click button to start DVD copying process. 2.4 Choose DVD Clone Mode. 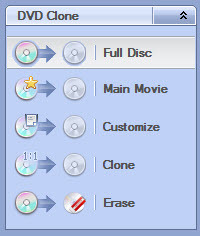 You can see Step 1.4 on how to choose a DVD clone mode. 2.5 Start Copying DVD to ISO. Click button to start copying DVD to ISO Image File which will be saved on your hard drive. Once you select DVD Folder as the output target to backup a DVD, you will be prompted the following "Browse For Folder" menu, then you need to select a folder to save the DVD. 3.4 Choose DVD Clone Mode. You can see Step Step 1.4 on how to choose a DVD clone mode. 3.5 Start Copying DVD to DVD Folder. Click button to start copying DVD to DVD Folder which will be saved on your hard drive. Wait for a while, then your DVD will be copied to hard drive successfully! 4.3 Choose DVD Ripper Mode. 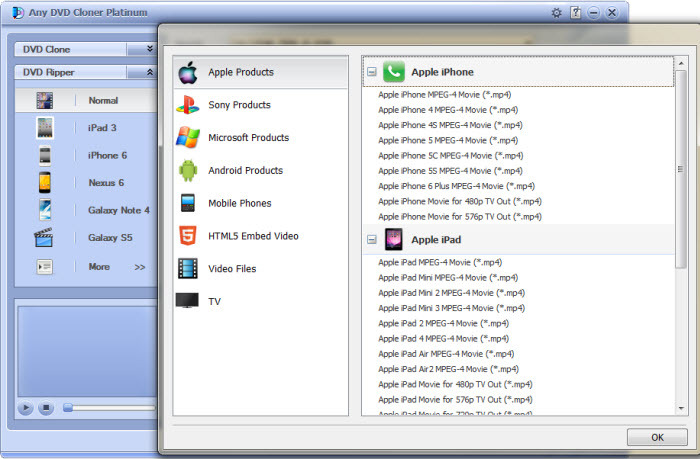 Click DVD Ripper tab in the left panel and choose output device. You can use windows default document folder. Or, select DVD Folder from the drop-down list of the Target option, and browse a folder to save the converted movie. 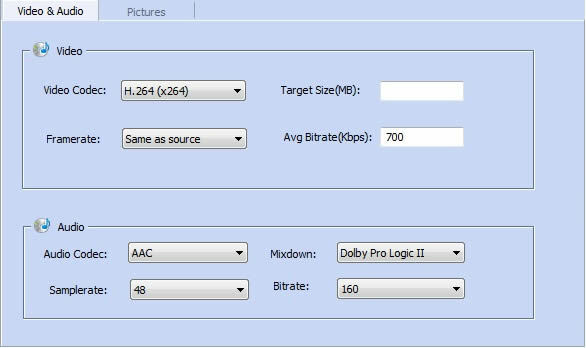 Output Format: M4V, MP4, and MKV output formats are available. Please note you need to select right output format for your device. Click More Settings >> button and two tabs will appear. They are Video Audio and Pictures. 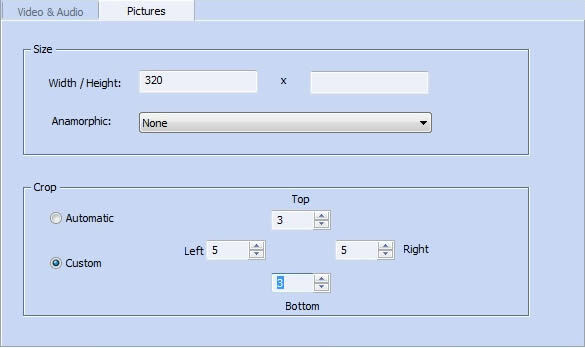 * Width Height: Set video width and height. * Anamorphic: Select different anamorphic to fit the video size for different devices such as TV set. * Automatic crop: Crop black bar automatically. * Custom crop: Crop video according to your need. 4.7 Click button to start ripping DVD. 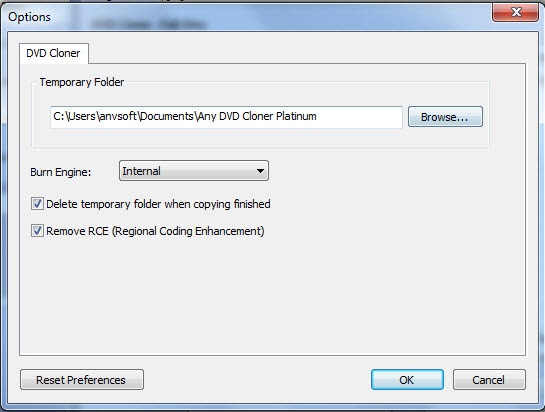 Any problem with copying a DVD movie using Any DVD Cloner Platinum, please send us the dvdcloner_platinum.log. You can file the log file by clicking the question mark in the top right window, and clicking View Logs.